Laurels is one of the India's largest selling E-retail fashion accessory brand. The brand was launched in the Year 2011. Laurels being started as a wristwatch brand, launched its leather accessories product range in the Year 2013. Laurels products are now proudly owned by over 3 million customers in India and many more across the globe. We proudly invite you to be a part of this growing happy family. 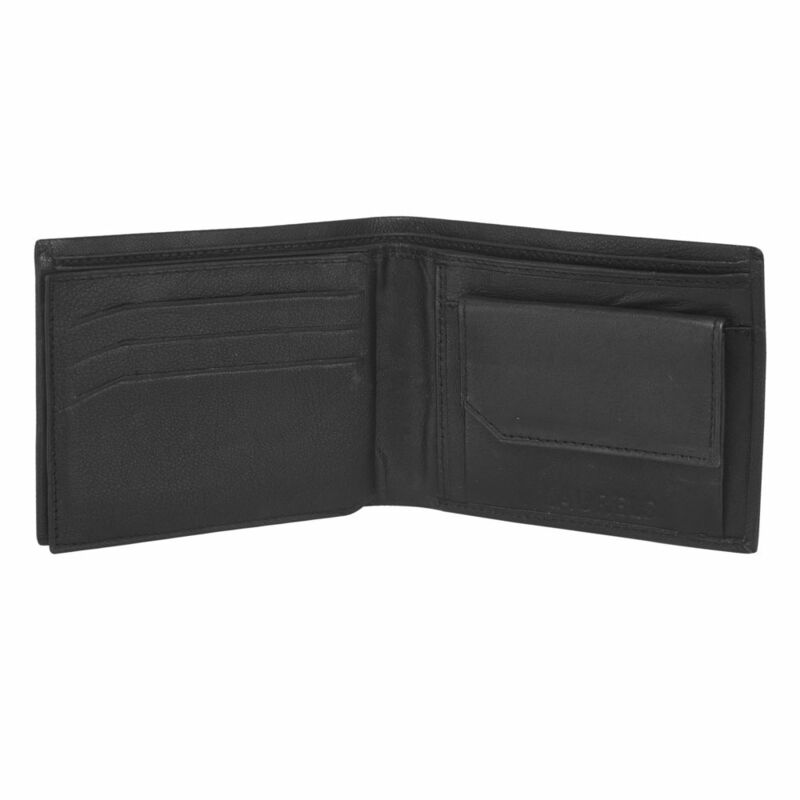 We present you Laurels Emperor Black Genuine Leather Men's Wallet (LW-EMP-02). 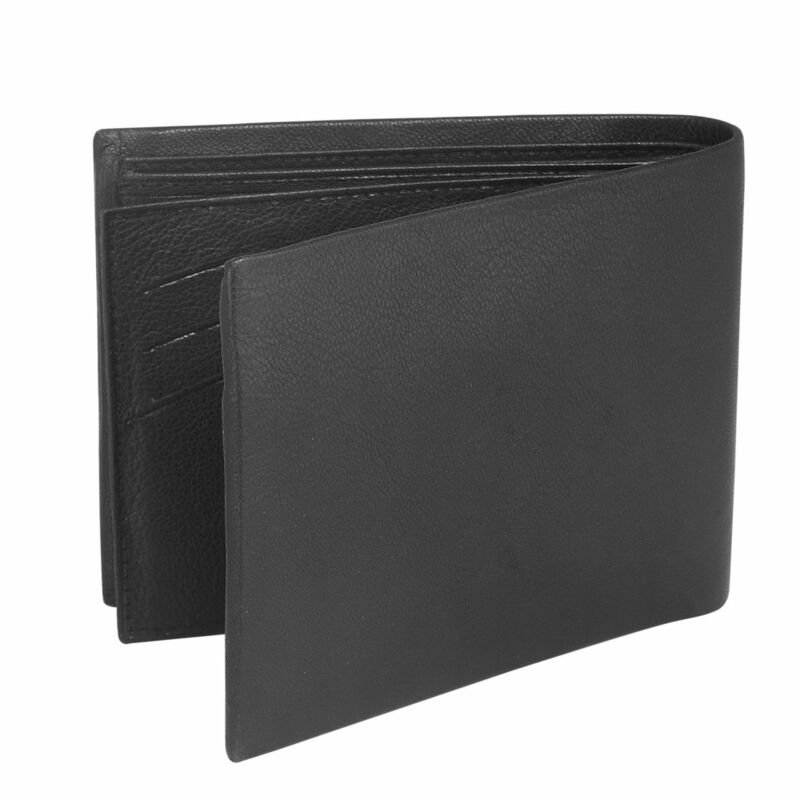 The Wallet offers high storage capacity in a small package, with card slots, a roomy bill compartment and clear ID and photo sections Completing the package, the Wallet is provided in a stunning, elegant gift box and is a perfect gift for a number of reasons, including: Premium full grain leather construction. Extra large capacity for all your cards, notes and ID. Strong 8 stitch per inch detailing that won't split or fray. The product also comes with 6 months warranty against manufacturing defects. 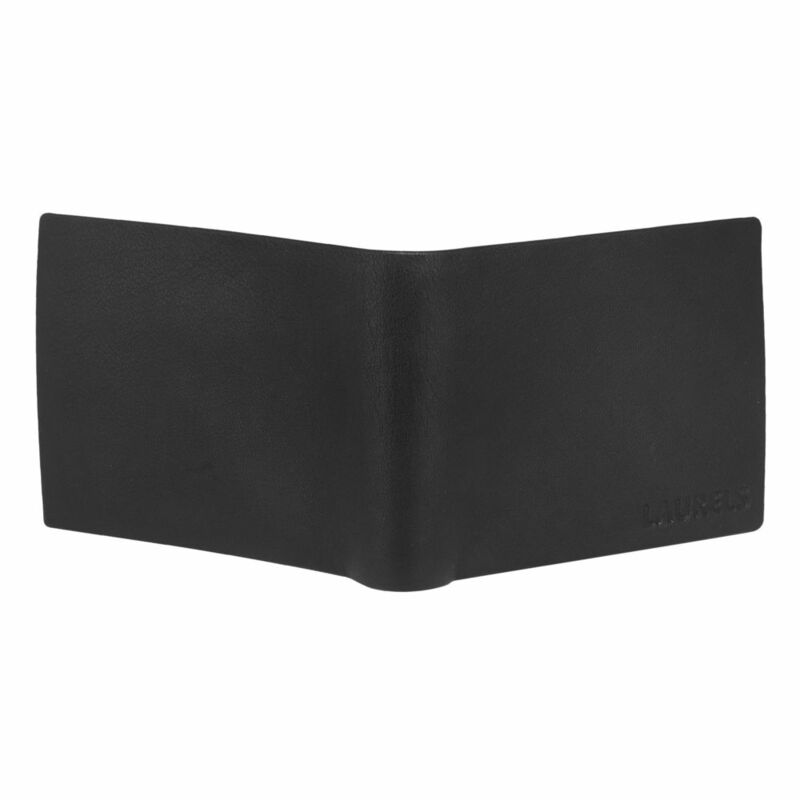 In order to claim warranty on your LAURELS' product.If you're looking for the perfect wallet upgrade or simply are searching for the perfect men's gift, the Laurels Wallet is the ideal all in one wallet! With premium handmade gift box, click "Add to Cart" to choose the best wallet on the market! 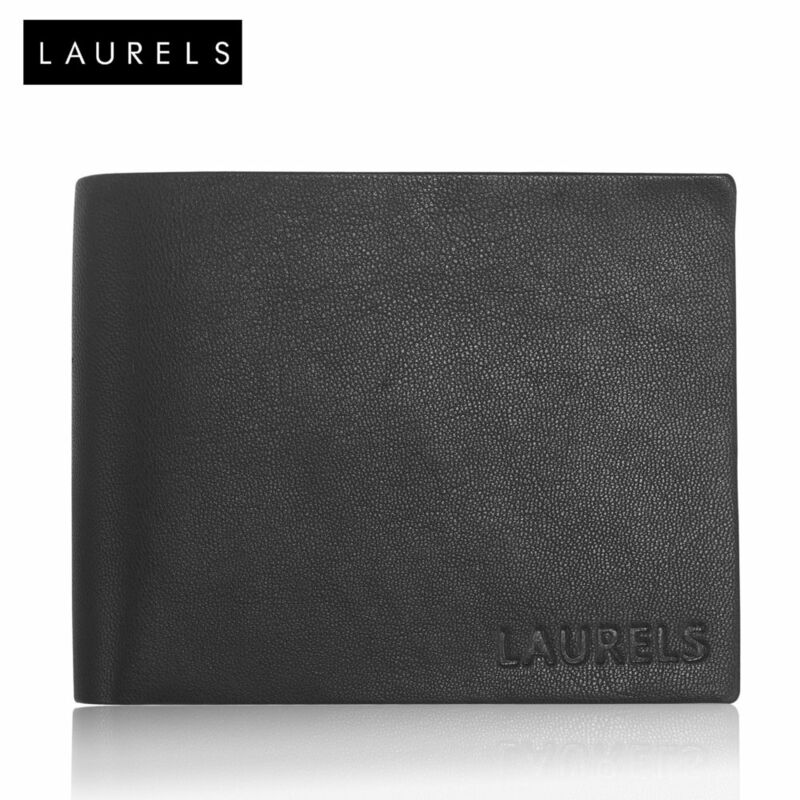 Laurels Wallet: A Perfect Blend of Highly Durable Modern Day Material Styled With Pure Craftsmanship and Trust of Million of Customers. 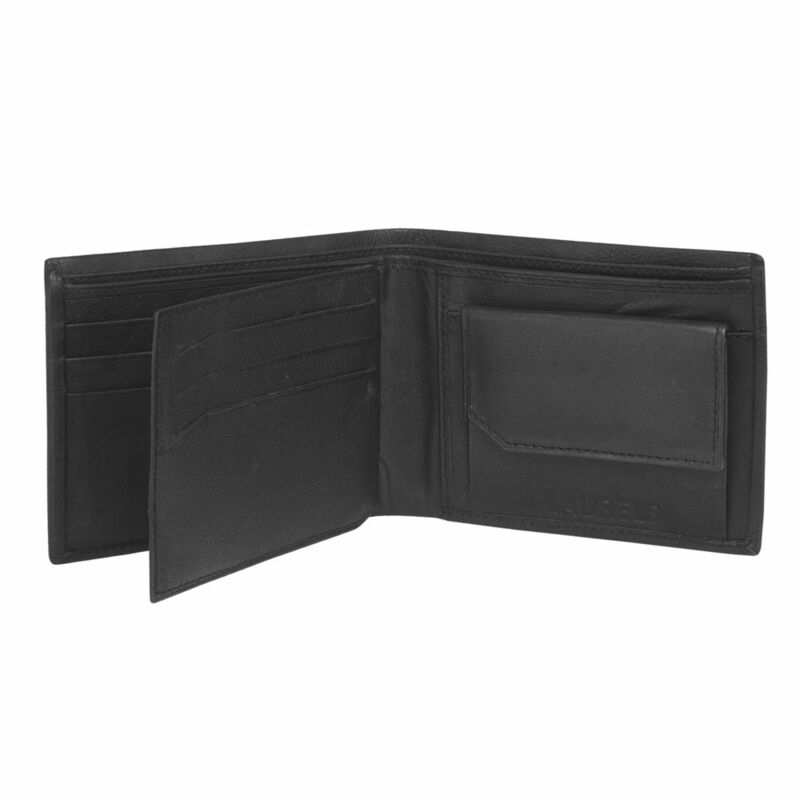 POCKETS: 2 Currency Note Slot; 3+3 Card Slot; 1 Sideflap; 1 ID Slot; 2 Secret Pocket; 1 Coin Pocket COLOR: Black:: MATERIAL: Genuine Leather 6 Months Warranty Against Manufacturing Defects GIFT BOX; Provided in a hand crafted gift box for presentation as the perfect, all in one mens gift choice! Click the Orange button to Order Now!